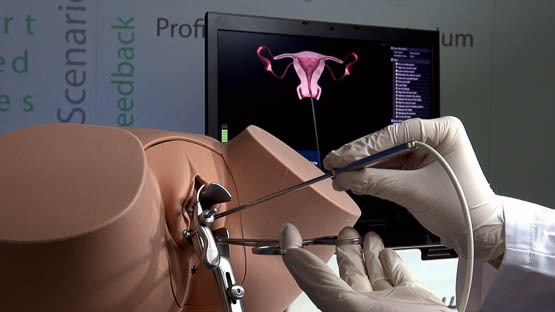 VirtaMed GynoS™ provides life-like gynecology training at no risk to live patients. 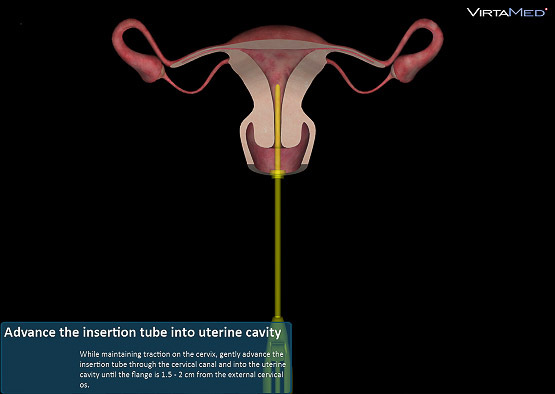 It is the most realistic virtual-reality simulator for uterine sounding, IUD insertion, embryo transfer, and hysteroscopy. Trainees learn using original medical instruments, making their skill directly transferable to a clinical setting. Ghost tools demonstrate the correct movements and the unique patient comfort scale makes sure the doctor gets the most realistic experience possible. 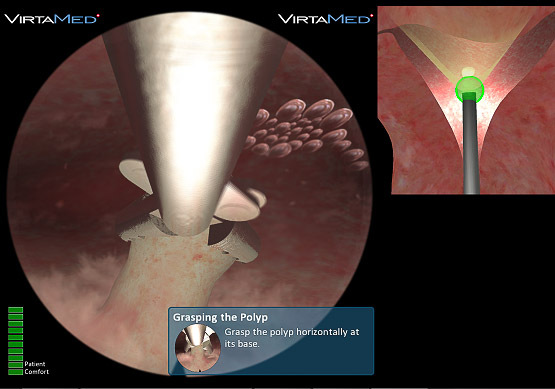 What I like best about the VirtaMed GynoS™ is the combination of real tactile sensation provided by the pelvic model and the large variety of training scenarios thanks to virtual-reality simulation. We have been working hard to make the feeling of entering the cervix, passing through the internal os, and carefully touching the uterine fundus a life-like experience. At any time of the running procedure, if desired, GynoS™ gives detailed instructions on what to do and what not to do, as well as immediate feedback when something is going wrong. I am convinced that the GynoS™ will improve education in gynecology, and thus enhance patient safety and comfort. 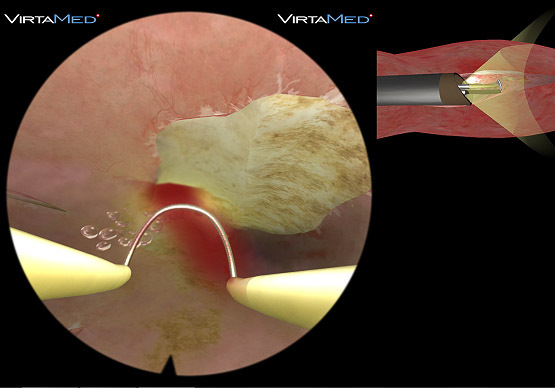 The realistic tactile sensation of the transvaginal probe facilitates the transfer of skills from the simulator to the patient. 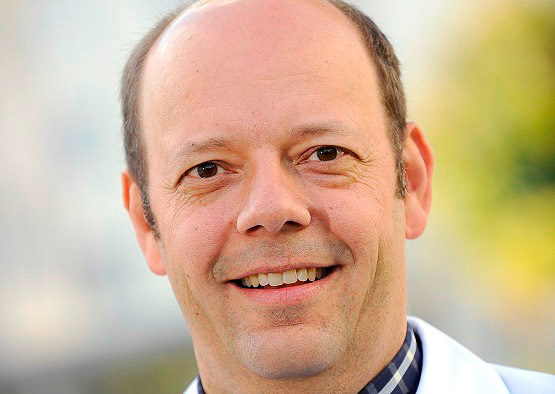 Focusing on fetal ages between 5 and 12 weeks, clinicians learn to assess the viability of the 1st trimester fetus, including pregnancies of unknown location and ectopic pregnancies. As the first simulator incorporating the 20+2 scanning protocol, the VirtaMed ultrasound simulator offers the most systematic approach to training the mid-trimester scan. Equipped with a proprietary probe that allows for a free navigation across the entire abdomen, the simulator experience is as close to real life settings as possible. Clinicians can practice across over 50 cases, various fetal positions, different placenta locations, and doppler imaging. Fetal ages range between 14-26 weeks. 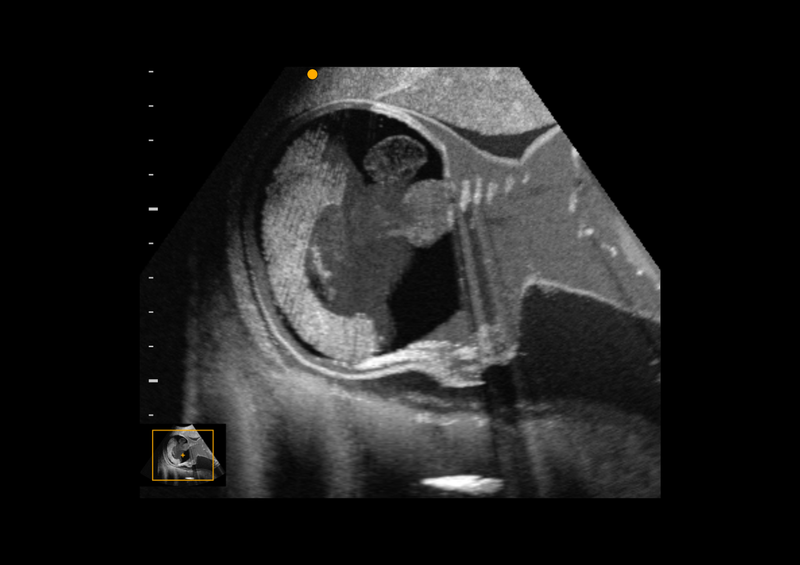 Developed in collaboration with the American Society for Reproductive Medicine (ASRM), the ultrasound-assisted embryo transfer simulator allows trainees access to expert-informed courses and a library of increasingly complex cases. Trainees gain transferable skills by practicing with authentic instruments, such as an adjustable transabdominal ultrasound probe, bendable catheters, a syringe, and a stylette. 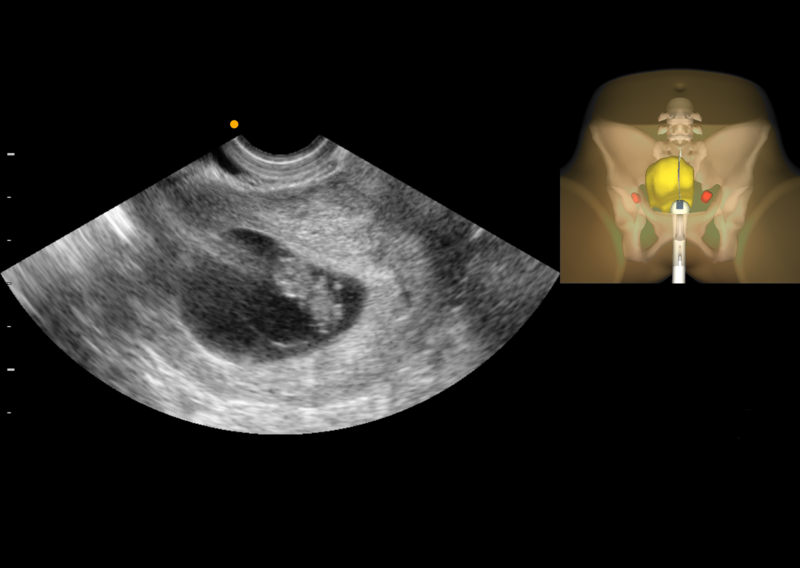 Training cases are based on real patient ultrasound images, and five different anatomies combined with a multitude of virtual cases prepare the trainee for clinical practice. This module accommodates three transfer techniques: afterload, transfer with trial, or transfer without trial. A diversity training cases teach doctors how to safely insert intra-uterine devices (IUDs) such as the Mirena®, Skyla®/Jaydess® or ParaGard® in anteverted or retroverted uteri, along with nulliparous or parous patient cases. Repeatable cases help trainees to quickly master the relevant motor skills while safely handling and correctly placing the inserts. Again, the patient comfort scale gives immediate feedback on the safety and quality of the procedure. Outside views and ghost tools guide the trainee during the first placements. Afterwards, unguided procedures are recorded and can be looked at for debriefing. Accelerate student learning with a variety of pathologies and cases at all difficulty levels. GynoS™ hysteroscopy offers on-demand, comprehensive, and risk-free endoscopy training where students use original medical instruments to treat virtual fibroids, establish uterine distension, clear viewing conditions, and how to safely handle loop electrode and rollerball for resection, coagulation, and endometrial ablation. For the more experienced learner, there are patients with more serious gynecological pathologies, including multiple polyps, intramural fibroids, uterine adhesions, or a septum. 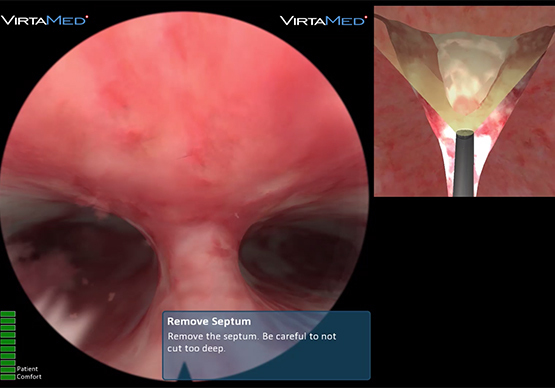 In the risk-free environment provided by simulation, more advanced endoscopic techniques can also be trained. For example, reducing the fluid inflow leads to a reduction of uterine distension, allowing the intramural parts of fibroids naturally to expand into the cavity for easier resection. VirtaMed GynoS™ is available with a full pelvic model. The pelvic model can be mounted onto a mobile platform equipped with a high-end PC and height-adjustable 23” multi touch-screen. 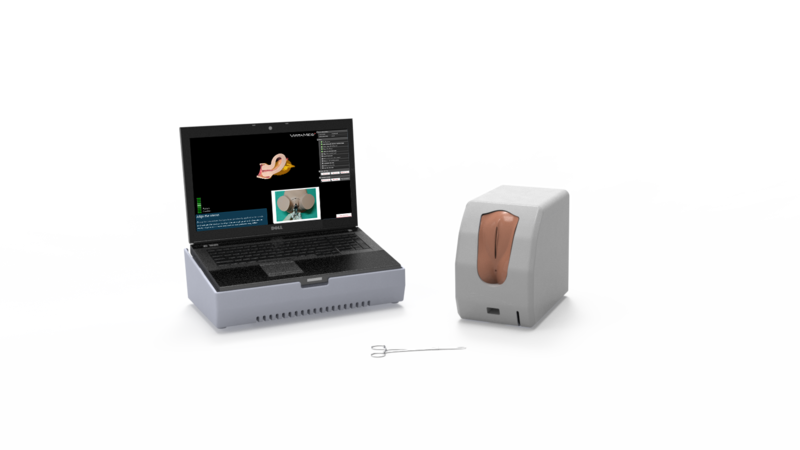 The simulator features a diagnostic hysteroscope with tracked ACworking channel and/or original resectoscope. Other original instruments are also supported, e.g. IUDs (Liletta™, Mirena®, Skyla®/Jaydess®, ParaGard®) and micro-graspers and scissors. 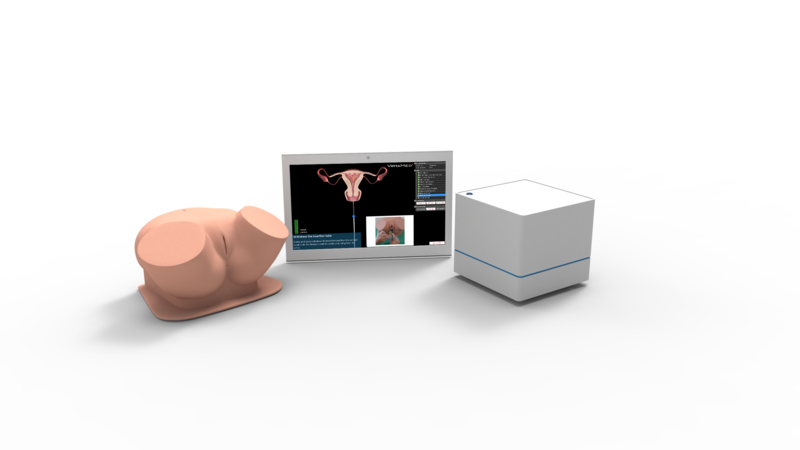 The GynoS™ Portable is a lighter version of the full GynoS™ simulator, featuring the full-sized anatomical model, a simulation cube, and a collapsible touchscreen. The portable GynoS™ can be transported comfortably in two luggage-sized boxes, while still supporting all the gear and software modules available. This platform has been used by our clients at conferences around the world. The GynoS™ Mini is the latest iteration of the GynoS™. The anatomic pelvic model is stripped down to contain only the essential parts, and the software can be operated on a simple laptop. The Mini, weighing only 22 kg when packed, is so compact that it can be carried as a single piece of luggage on any commercial flight. Could you use our GynoS™ simulator? Just get in touch for a personal demo.